Attitude is everything. Confidence determines the attitude you present to the world. A good way to see the impact of confidence on a person’s success or failure is to see the way this has been demonstrated throughout professional boxing. Boxers have to exhibit confidence at all times, even before and after their fights. This helps not only their own motivation and performance, but it can also affect their fans’ and their opponents’ perspectives of them. How successful would a timid boxer be? How many fans would support him? Likewise, in relationships and business, a confident person will not only be able to initiate conversations with a prospective clientele, business partners, media sources, and more; she will also tend to attract more like-minded people in general, which promotes networking and new relationships. So, confidence is important. The remaining question, and perhaps the more important one, is how to work up the level of confidence you need to support your success. The best way to do this is to acknowledge and honor your potential. Potential refers to the level of success that you as a person are innately capable of, whether in business or life in general. There are a few different ways to determine your personal level of potential: take a look at your track record, consider your training, and recognize what you were born with. Boxers such as Sugar Ray Leonard and Oscar de la Hoya were able to display confidence in and out of the ring because they had the track record to back it up. Both very successful boxers, they could look at past opponents whom they had beaten and draw courage from the knowledge that they would be able to do it again, and again, and again. Consider past experiences you might have had in your life. Maybe you gave a work presentation that received positive feedback from a supervisor, or perhaps you helped a friend in trouble. In the first example, you can see that you have potential to be outgoing and to impact others positively. In the second example, you have shown that you are able to empathize and connect with people. Both of these qualities are important areas to hone in on while in the process of improving connections and growing your business. Finally, consider the skills and abilities that you were born with. Often, these will be evident when looking at your track record, but sometimes they can remain latent within a person for years until a catalyst comes along to bring them out and help them shine. Be your own catalyst! Find things that you like about yourself and consider positive traits, and write them down. This will help you see potential that may only be visible to you when you expose it. Maybe you are great at bowling, you are compassionate or you have beautiful eyes. Maybe you find that you have an unusually likable personality or a great sense of humor. All of this adds up and is counted as your unique attributes – you are magnificent in countless ways. For mompreneurs, when you start feeling the frustration of unproductive ventures, remember your potential. Think about the gifts you possess, the training you have received and successes you have had in the past in all areas of your life. When you tap into your confidence and ramp it up to a higher level, you know you are capable of succeeding. If others can’t see that at this moment, it’s okay, because you can see it. And the right people will see it. In order to do this effectively, there may be some parts of your past that are best healed and released from the mental model of reality that you use to dictate how you respond in day to day life. Muhammad Ali is a great example of this. Although he was born Cassius Marcellus Clay, Jr., he realized that he was not bound to remain the person he had once been. He’d found a new religion, new success, and a new life, so he changed his name to more appropriately suit the person that he truly was. While it is likely unnecessary for you to change your name, it might be important for you to leave behind other parts of your childhood, adolescence, or young adulthood in order to become a more consistent and successful adult. It is common for our challenges to leave an imprint on our confidence and how we feel about ourselves – often without our conscious knowledge of its impact. For example, Mike Tyson grew up on the streets and lived a very tough life. He was estranged from his mother, and had been arrested tens of times by the time he was thirteen. Tyson didn’t have much going for him for the first part of his life, but he put all of that behind him and went on to with the WBC World Heavyweight title at only 20 years of age, making him the youngest man to ever accomplish such a goal. Likewise, you can move past any boundaries or past mistakes that you might have made to become a better, stronger individual who can use those experiences to help others who might find themselves in a similar situation. One of the greatest confidence boosts is being able to support others to overcome what you have already moved through! 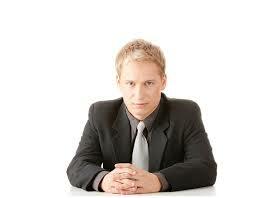 Think of your personal “marketability” to enhance your business confidence. It can give you the competitive edge over others, and it can offer leads where there otherwise might not be any. Another important factor that impacts marketability is your ability to bring out your other assets, besides your specific business-related skills. This can include any part of your potential-work skills, natural abilities, friendships, values, and anything else that other people might find alignment with. Professional boxers perfected the art of marketability. Consider Sugar Ray Leonard, who involved himself in a variety of activities that allowed him to showcase the talents and abilities that he had aside from boxing. He was a commentator for boxing matches and appeared on the television show L.A. Heat. Perhaps his greatest endeavor was heading up a boxing promotions company, which focused on marketing the boxing industries to fans and also to those who might be unaware of all that it has to offer. Leonard was also involved in The Contender, a reality television show about boxing. These activities also allowed him to be even better known, which of course comes with endorsements, a larger fan base, and many other perks. Confidence-building requires you to be resilient. Like mentioned earlier, everyone is going to lose a match sometimes. Everyone is going to take a punch. But the way that you deal with the little bumps and bruises along the road to success that is what makes all the difference. It’s very easy to lose hope. As much as we wish it didn’t, life has ups and downs; many people have experienced disappointment before, and many more people have yet to experience it. Everyone falls down. However, when this happens, you have to get back up. Keep pressing forward. You will live to fight another day, but you have to choose to fight it. Your confidence depends on it! There is more than one way to recover from a punch. Some people might need to take a little time to themselves to recuperate from the blow and get back on their feet again. If this is you, consider taking a weekend and going somewhere relaxing, like a mountain villa or a beachside cottage. Here you will be able to reset, regain some energy, and let the beauty of nature take its healing course. If you can’t afford a private getaway, go for a walk along the beach or through the woods. You might even purchase some fresh flowers to place around your home. Any step you take is going to be a step forward. Regardless of which activity you choose, be sure to maintain a positive perspective on the experience. Remember that everyone takes a blow sometimes, remember that you have a lot to offer the world, and remember that there is always going to be another day and another opportunity to succeed. It is your birthright whether the current circumstances support that belief or not. Dig deep and connect with the best within. The key to confidence-building for mompreneurs is to live your life from your best possible vantage point (first), and don’t be held back by other people’s opinions. Set the goals that you want to achieve in life, work towards accomplishing those goals, and acknowledge the progress and achievements (of any size) along the way. Be active and driven to meet people, share your value and succeed in your priority areas. Keep personal fulfillment and your unique potential planning in the forefront of your mind. Shape your mind and it will shape your experiences. It’s a fact! Reflections: How can you support the growth of your confidence? List your magnificent characteristics and achievements? Consider how you allow these to be present in your life? NEXT POST Next post: Losing Sleep Over Your Online Business? Discover Unique Simple Techniques To Explode It Fast!